In the series so far, we've taken a look at measuring and marking, then cutting with saws, so it's now time to look at finishing and shaping the face of your timber this means using a hand plane. 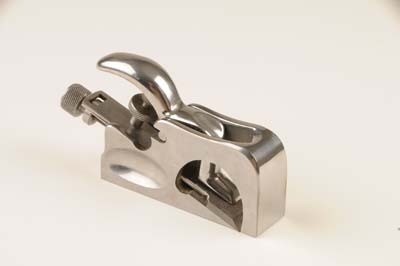 Most people are familiar with the standard smoothing plane, consisting of a wooden or metal casing with front and back handles, and some method of holding a sharp steel blade at the appropriate angle to produce the cleanest cut. The plane will have some method of moving the blade up and down so that the depth of cut can be regulated. 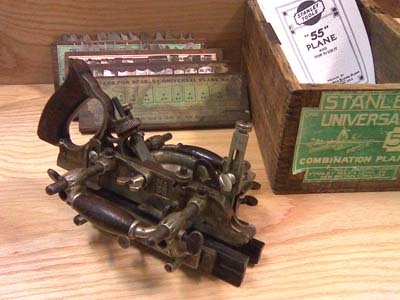 There are, though, many different types of plane. They can be tiny - such as those used for instrument making - or very large indeed, such as the shooting plane - up to 26in long - used for ensuring long lengths of timber are as flat and smooth as possible. And the variations in between are almost endless, they include: jack, fore, jointer, smooth, block, low angle block, rabbet/rebate, edge trimming, bull nose, plough/combination, circular, router, and palm, to name but a few. I-ll start off with the most basic planes you'll need, and then veer off slightly into the realms of the exotic - you-ll find that if you get a taste for using planes, you can very easily get carried away buying a plane you'll only really use infrequently but to the woodworker, they are very often objects of desire. 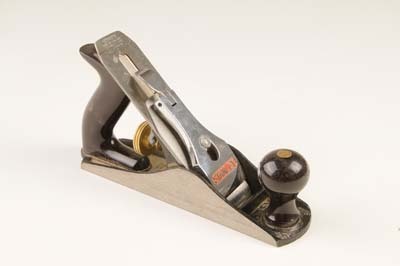 Whatever material they are made of, and however much you have paid for one, there is no delight in woodworking quite like sharpening and setting up a plane so that it removes the thinnest of shavings, effortlessly. These are generally the shortest of the two handled planes. The standard length is 225-250mm long with a blade width of 45 to 50mm. Smoothing planes are intended for general smoothing work. The plane is still light and short enough to use with one hand when necessary. These are the longest of the hand planes and normally have lengths from 455-560mm, although antique jointer planes can be up to 660-762 long. 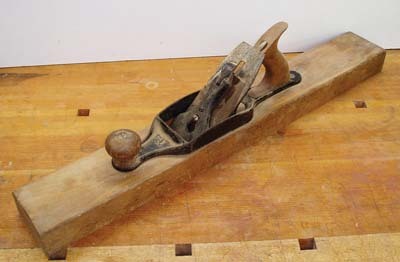 Blade widths are the same as a Jack plane at 50-60mm. Because of their long length they ride over any depressions, helping to flatten the board. These small planes are intended for one-handed use. They have a slightly lower blade angle and are used on end grain. When cutting endgrain it is best to use an angled shearing cut. 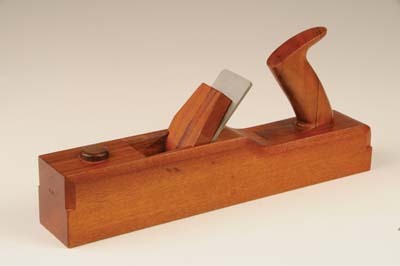 Block planes are also ideal for general-purpose work and work well for chamfering because of the high degree of control. 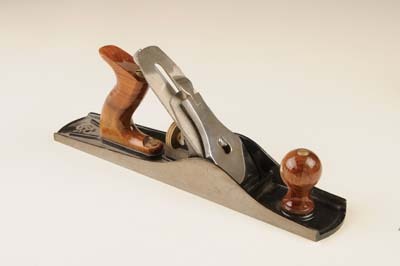 These planes have the same basic design as a standard block but with a lower blade angle of between 12 and 14 degrees this makes them work even better for end grain and they can also plane composite materials, and laminates well. Care must be taken when working on the flat of the board with these planes because the low angle will catch and lift the wood fibres instead of shearing them off. These planes range in size from 100-330mm long with blades 25-54mm wide. The blade extends to at least one side - often both sides - of the body, allowing the planing of rebates etc. 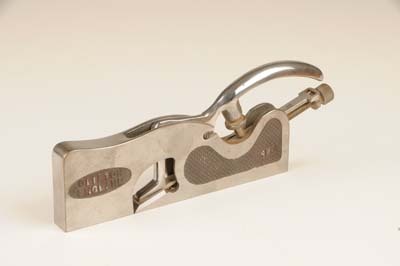 The bull nose version of these planes has the blade right at the front of the plane so you can work in a blind or stopped groove or rebate. These planes can do it all. The antique versions are made of steel and wood, and fetch high prices. Modern versions have metal bodies and composite handles. They have straight blades ranging from 3mm up to 45mm, but also beading, reeding, fluting, tongue and groove, and even sash cutters. Often a separate cutter is set into the plane nose, which slices the grain before the main plane blade contacts the wood. They normally come with a guide fence, which helps to keep your planing true. So, that's my round up of some of the planing options available. 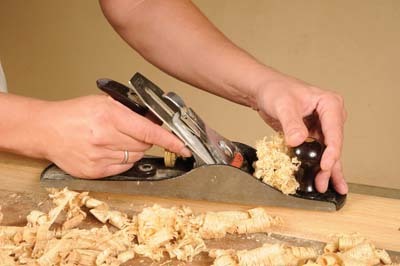 For a basic toolkit, you'll probably only need to start with a smoothing, Jack and block plane, but as your skills improve, you'll probably want to try out some of the other options depending on the job you are doing. To get the best use out of your plane you will have to, at some point, invest in sharpening equipment. 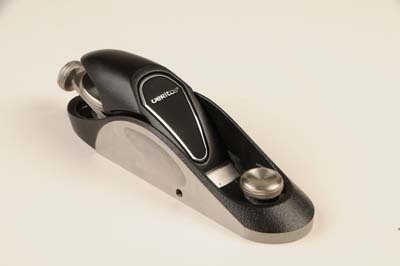 This will be a good investment, as sharpening is an essential skill to keep your plane working. The equipment will also sharpen other tools such as chisels. Your first outlay should be on an oil stone. 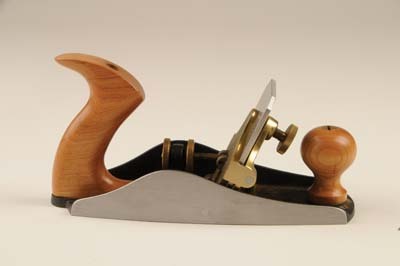 When bought new, your plane will benefit from having its edge honed. 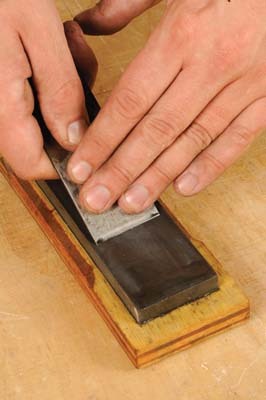 Your blade will have a bevel ground on the cutting edge, which will need extra honing with the use of the oil stone. In effect you will get two angles on your blade: the ground bevel, and the honed one. As time goes on, and after continual re-honing of the blade, you will find it harder and harder to get a good edge on the blade, as the honing angle eats into more and more of the ground angle. At this point, you will need to regrind the blade. Here a watercooled rotating stone grinder is your best option, though expensive if you are starting out. Alternatively you can get a normal dry grinder, though overheating of the blade, and keeping your blade true, make sharpening more difficult.